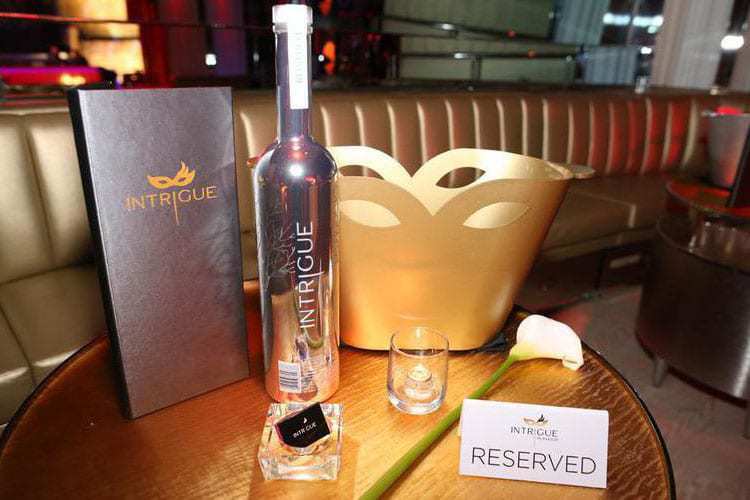 Intrigue has over 50 VIP tables to choose from, despite being considered a smaller venue. If planning on doing Intrigue bottle service, you’re in for an experience like nowhere else on the strip. We have all the facts you need to know about Vegas’ newest nightclub. How much is bottle service at Intrigue? Intrigue bottle service rings in on the higher side: bottles start at $700 (see menu below). However, prices will vary depending on talent and the demand for tables that night. 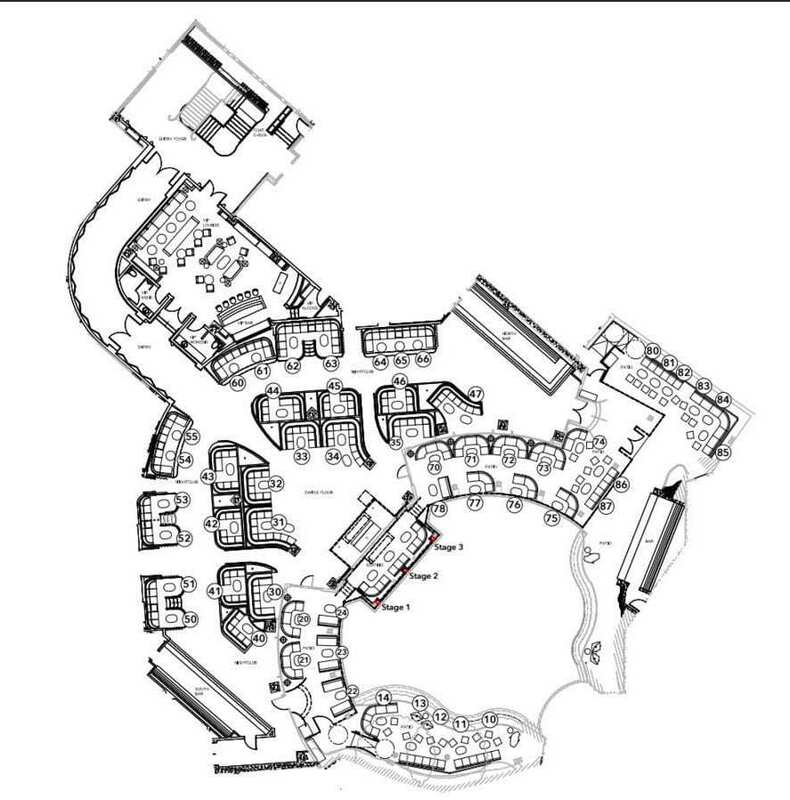 Minimums will be higher the closer you are to the dance floor, and for the table directly against the water. Your party should come with a sizable budget in order to experience Intrigue nightclub in all its glory. What are the best tables at Intrigue? As the table minimums dictate, closer to the dance floor and to the waterside tables are in the most demand at Intrigue. The venue is on the small side, holding only 1200 people, so there really is no bad table at Intrigue. 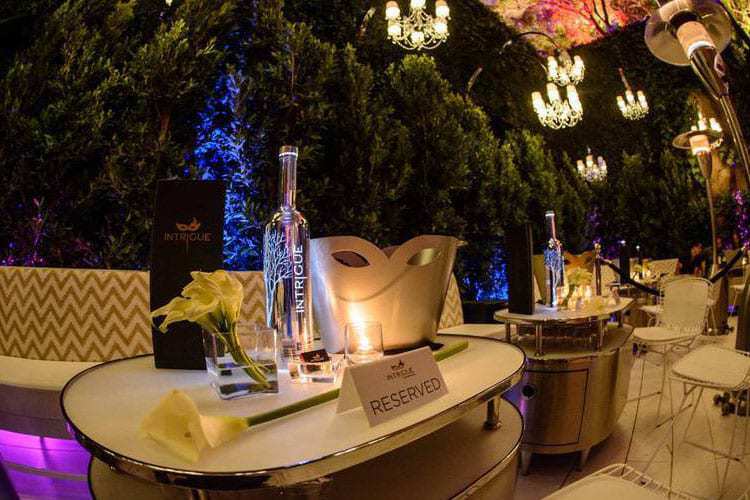 The Intrigue bottle service code is different: the club is meant to be experienced as an intimate and exclusive spot for your private party. The dance floor at Intrigue is central to the life of the party, like at most Las Vegas nightclubs. However, the action is amplified by the presence of water in the back ground: Intrigue juxtaposes the high intensity of the dance floor with the serenity of the lake. Dance floor tables at Intrigue offer the best seat in the party as well as a direct view of the elegant backdrop. Tables 22-24 and 75-78 make up the 1st tier and are considered the best tables the club has to offer. 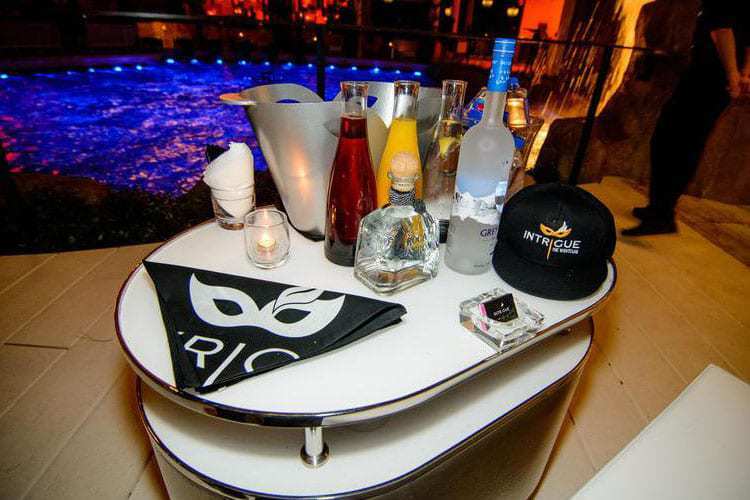 Doing Intrigue bottle service on the 1st or 2nd tier will allow you the most memorable and intense experience possible. 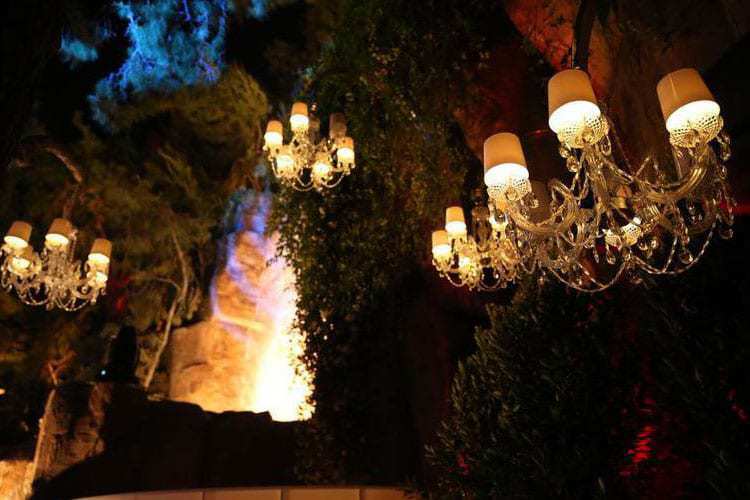 Tables 10-14 are located directly against the water at Intrigue, and provide the best view of its iconic waterfall. These tables also have direct access to the dance floor, and for that reason can be considered the best of both worlds. If requesting to be seated here, we recommend booking in advance and being willing to spend at least $3k – enough for about four standard bottles. 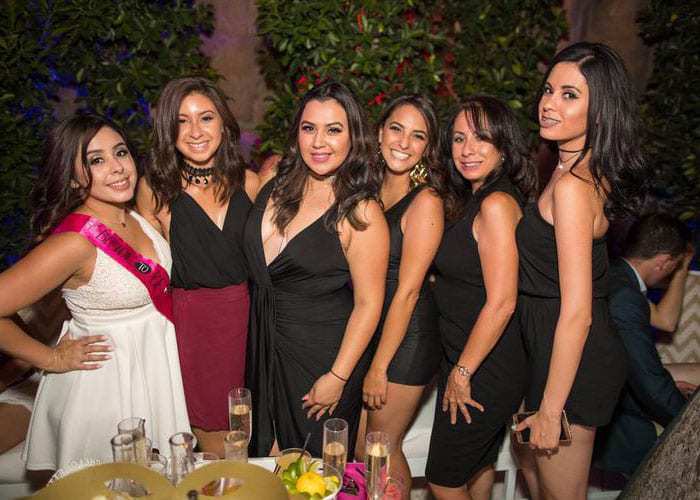 Celebrating your bachelorette party at Intrigue nightclub? Are you celebrating a bachelorette party or girls’ birthday? On certain Wednesdays, Intrigue offers special deals for girl groups on VIP tables. Fill out our Intrigue bottle service form below and we’ll have our VIP Host at Intrigue contact you with the best deal available. Let us know what you’re celebrating! Bottles at Intrigue start at $700. A bottle is required for every 4 people in your group. Intrigue’s dance floor and water side tables are the best in the club, although there really aren’t any bad tables given the intimate layout. We recommend coming on “Intrigue Me Wednesdays,” the weekly industry party hosted by Intrigue. Fridays and Saturdays also bring an amazing party. We’ll have our Intrigue VIP Host reach out to go over pricing and take care of you when you arrive.